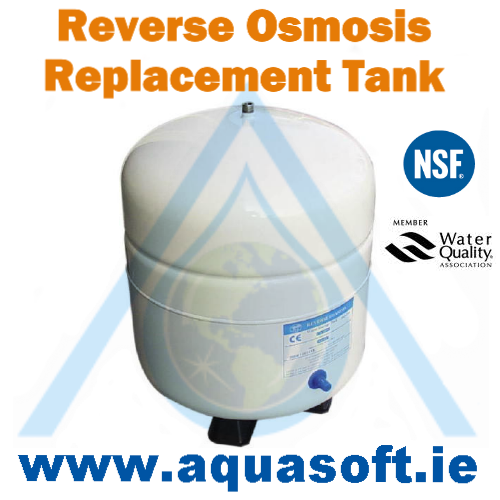 Aquasoft™ Ireland TK1 Reverse Osmosis replacement stainless steel water storage Tank. This 4 Gallon replacement tank offers superior build quality and bladder storage construction. NSF® and the Water Quality Association® certified for human consumption ensures safety, Hygiene, client confidence and best product for you and your family. 4 Gallon Stainless steel Tank with tank shut off valve and stand.